Building on the huge success of the Orangebox Do chair we are now very excited about our new Scuba Blue Special Edition. 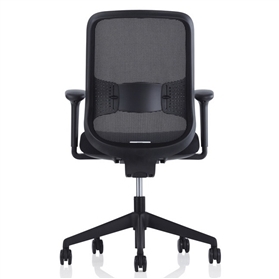 The chair has a Black backrest frame, black height adjustable arms and a black nylon base. 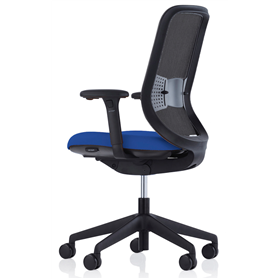 Technical stylish mesh back and adjustable lumbar support. The Do chair reclines and moves continually with your body movements. This encourages blood flow and keeps your muscles moving. The effect of this is more oxygen flowing around your body and eliminates that feeling of stiffness of back and muscles experienced when getting out of a car on a long journey. The tension of this recline is adjusted for you so the less adjustment lever and knobs the better! 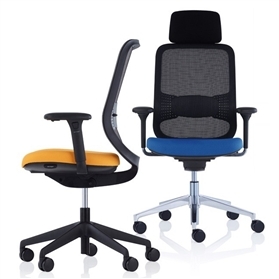 The chair is made in the UK and has a 5 Year Manufacturers Guarantee.Includes Travel Limiter/ Back Lock Mechanism. Scuba Blue Fabric seat.